The Integrated Gasification Combined Cycle (IGCC) technology also has potential to deliver much improved efficiencies for power generation. Further, it captures CO2 ready for transport and storage. Hydrogen production, separation and reaction is an integral part of the IGCC process. This project targeted the development of membrane reactor technology that can contribute to both aspects of CO2 emission reductions, efficiency and storage. The project also developed a prototype catalytic membrane reactor (CMR), a device which combines a hydrogen-selective alloy membrane with a water-gas-shift (WGS) catalyst. The current benchmark alloy membrane material is palladium (and its alloys). Vanadium has higher hydrogen permeability and lower cost than palladium, but its susceptibility to hydrogen embrittlement has limited its application in hydrogen-selective membranes. By alloying vanadium with aluminium, the susceptibility to embrittlement is drastically reduced. These findings are the subject of a provisional patent lodged in several jurisdictions. Although membrane durability has not been assessed during this project, this new alloy will prolong membrane lifetime considerably, and will increase the likelihood of meeting the durability target of 5 years. CSIRO has developed a patent-pending vanadium alloy, which has equivalent hydrogen permeation properties, much improved resistance to embrittlement, and enhanced ductility to allow manufacture by tube extrusion. Several reactor geometries (planar or tubular) were evaluated, and determined that tubular geometries have the best prospects for low cost fabrication. Various surface finishing techniques for effective catalytic coating were tested. A 2-dimensional, axis-symmetric model of a membrane reactor has been developed using computational fluid dynamics (CFD). The model incorporates several sub-processes for heat transfer, mass transfer, hydrogen permeation and water-gas shift conversion, and has been validated against experimental data. A hydrogen flux of 0.4 mol m-2 s-1 at 400°C has consistently been achieved using Pd-coated vanadium tubing. This flux is independent of membrane thickness. Several hydrogen separation modules, up to 1000 cm2 in total membrane area, have been fabricated and tested. A 3-stage membrane reactor was demonstrated, in which catalyst and membranes were physically separated. Greater than equilibrium CO conversion was achieved in this multi-stage configuration, despite modest CO conversion and H2 yield per stage. This configuration is scalable and will protect vanadium-based membranes from mechanical or temperature-related damage. Pre-combustion CO2 capture is a process which shifts the energy content of coal to H2 with the by-product of CO2. 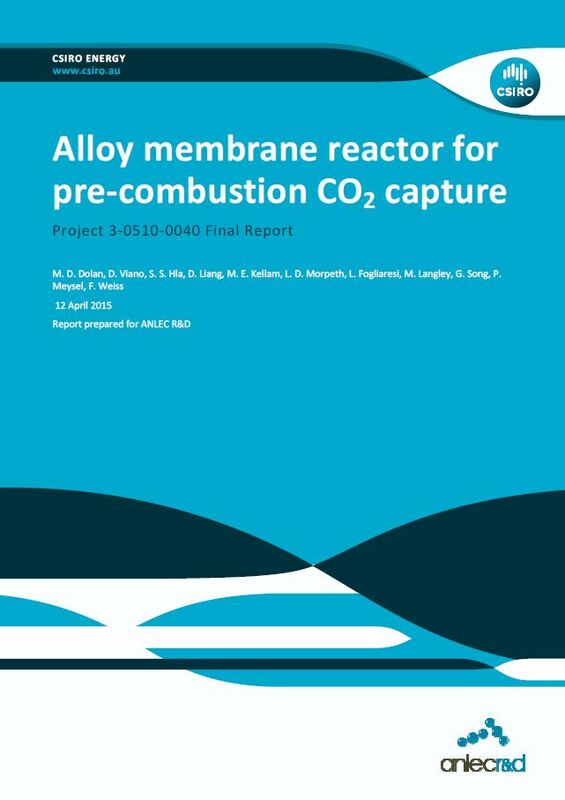 This final report presents the development of a CMR, which intensifies hydrogen production processes and has the potential to achieve near-complete hydrogen conversion, purification and pre-combustion CO2 capture in a single device, with additional benefit of reduced energy consumption and plant volume. A 3-stage membrane reactor is demonstrated with separated catalysts and membranes to overcome the narrow temperature window and consistent fracture of traditional packed bed arrangements. 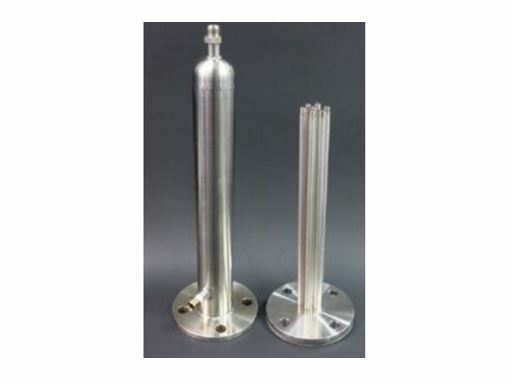 The developed CMR manufacturing process is at a much lower inlet pressure which indicates potential for further cost reduction with alternative tubing material.